A few months ago, Criminal Minds fans were devastated by the sudden departure of AJ Cook who played JJ, Jenifer Jareau, one of the primary female characters on the show. Cook was let go in an attempt to prevent the show from becoming stale. However, reactions were extremely negative, as JJ is a fan favourite. After hearing that over 60,000 people had signed an online petition to bring her back, the studio rehired Cook, who said she was hurt after being let go but found the fan reaction very comforting. 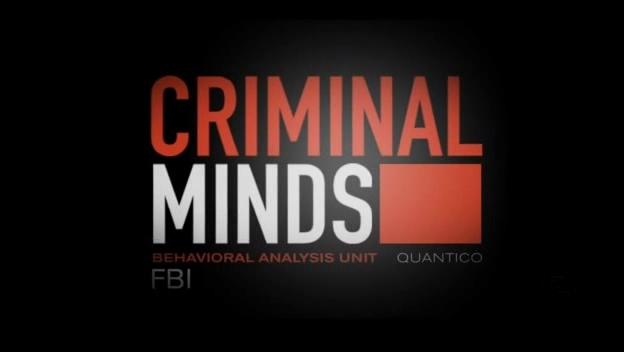 Cook wasn’t the only cast member to be pushed off the show, Paget Brewster, who plays Emily Prentiss, was also removed from the show. However, she was given the option to stay on as a recurring character rather than a series regular. Her final episode was ‘Lauren’ which still hasn’t aired in some countries, including mine, so I won’t spoil it. JJ will be returning as a series regular at the start of next season, but she says that both her and her character have changed due to the experience of leaving. Being kicked off the show was a ‘wakeup call’ to just how harsh the entertainment industry can be. The ‘new JJ’ will be more serious and mature but don’t worry ‘she still has heart’. Brewster has also been offered the chance to return, whether it’s as a series regular or not isn’t clear. After leaving the show, she did a pilot for a different show. If the show doesn’t get picked up she may return, but if it does chances are Prentiss has left the building. Are you happy that JJ is returning? Do you want Prentiss to come back? Is this the end for Rachel Nichols character, Ashley Seaver? What do you think? Let me know by voting and leaving a comment below. Also don’t forget to subscribe. This entry was posted on April 25, 2011 by adamodwyer1. It was filed under Tv Shows and was tagged with 60000, a, a.j., actor, actors, actress, aj, as, ashley, back, become, becoming, brewster, bring, cast, changed, character, coming, cook, criminal, emily, fan, fans, fired, going, has, hired, is, j.j., jareau, jennifer, jj, leaving, main, minds, new, news, nichols, of, online, or, paget, people, petition, prentiss, rachel, reaction, recurring, regular, rehired, return, returning, returns, seaver, series, she, show, shows, signatures, signed, stay, story, studio, the, to, tv, was, why, will.